The annexation of Crimea by the Russian Federation has not deterred some Moldovan firms from doing business with the peninsula. Even higher costs that incurred from the double itinerary or Russian intermediate firms could not stop the usual dealings. The government in Kiev outlawed all direct trade with Cream without Ukrainian consent, and even equalized it with terror financing, but this didn’t help at all. The Magliv Distillery in Alushta, a holiday town at the south-eastern coast of the peninsula, looks like a Mediterranean villa: bright yellow buildings surrounded by palms and pine trees, and the sea at a few-minute walk. A supplier from the Republic of Moldova has shipped labels and bottles for spirits worth several million euros over the past years. The supplier is Moldavskii Standart SRL (which literally translates as Moldovan Standard Ltd.), an alcohol producer in the town of Tvardița, Taraclia District of Moldova. The firm was founded by Nicolai Luțik, a Crimea-born man with Bulgarian citizenship and resident of the Belize offshore paradise. The long-term business relationships between the Moldovan and Crimea-based companies continued even after the Russian annexation of the Ukrainian peninsula and Kiev blocked trade with its southern enclave. But now they use Russian intermediaries to get the business going rather than doing direct shippings. RISE Moldova has learned from Ukrainian customs records for the period 2012 through March 2014, when Russian troops occupied the peninsula, that Magliv received from Tvardița labels and bottles worth more than 1.9 million euros. April 23, 2014. One month after the forceful inclusion of Crimea under Russian jurisdiction, Moldavskii Standart continued export operations in the peninsula. The Tvardița-based firm appears in Russian customs records as a supplier of labels and bottles for strong drinks. The destination points in the customs paper remains Alushta, Crimea, but the recipient is different. 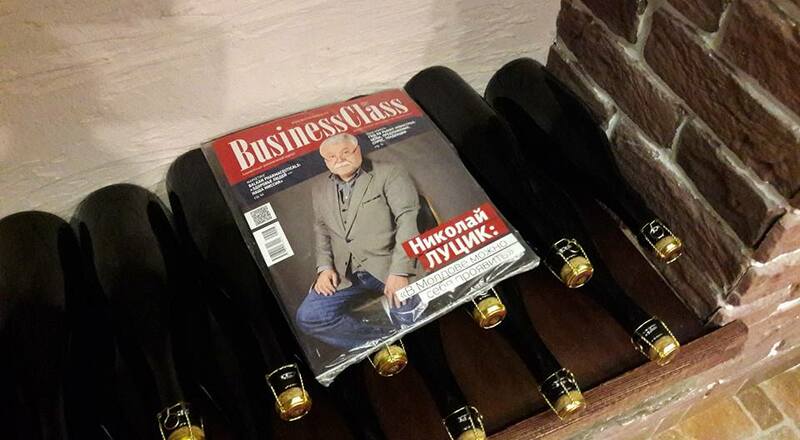 Instead of Magliv, a Ukrainian firm that used to buy from Moldavskii Standart before the Crimea annexation, it is now Vintazh – a Russian intermediary based in Krymsk, a city in the Krasnodar Region, and 400 kilometers east of Alushta – that buys the labels and bottles from the Moldovan company. To figure out how Russian companies intermediate international imports in Crimea, we invented a story about an apple exporter from the Gagauzian autonomy in southern Moldova. We called Svetlana Polulyakh, a specialist dealing with customs clearance in Russia who had helped Moldavskii Standart file for export to the Russian Federation. Her phone number is available in Russian customs registers. Svetlana Polulyakh, customs clearance specialist at Rostek-Kubani: In the Republic of Moldova you need to name Krasnodar as the final point of shipping. […] It is important that you don’t mention Crimea as a destination area. In your customs declaration it must not be at all. In your case the recipient is a company in the Krasnodar Region… Then, in order to keep things easy, use the same company to sign an internal shipping agreement. With that declaration in your hand, fill in a new roadmap timesheet and go ahead. “It shipped goods from Moldavskii Standart. I mean bottles. These were brought here in Krymsk and then moved to Crimea, using the same transportation. The firm’s name is Vintazh,” Mrs. Polulyakh said. With the same invented story we got in touch with Vintazh manager Valentin Uzhakov. The businessman complained to us that some of his business partners yet owed him money for previous services. RISE journalist: — Is it possible to ship goods from Moldova to Alushta using the same transportation all along the way? V. Uzhakov: — Possible, quite possible. Journalist: — Is Moldavskii Standart doing this? Journalist: — How much cash does Moldavskii Standart owe you? V. Uzhakov: — I can’t say I’ve endured too much. The factory [Magliv] owes us some money and in turn we owe some money to Moldavskii Standart. At one point we agreed to help them but ultimately the deal could not be closed. Moldavskii Standart management denies allegations of doing business with Crimean companies after the annexation of the Ukrainian peninsula by Russia. Vasilii Șoșev, director of Moldavskii Standart: We stopped exporting goods to Crimea long ago. Ukraine no longer allows the transit of goods, given that from the legal point of view nothing can be shipped there anymore. We continue collaborations in Ukraine; we sell them raw alcohol for brandy. If you have any piece of document to prove that Moldavskii Standart ships goods to Magliv, then hats off! An official letter the company released to RISE Moldova says that it delivered nothing to the Crimean factory between March 2014 and October 2017. On the other hand, Magliv, which is 97% owned by Moldavskii Standart, says the same in another official response. Nicolai Luțic, founder of Moldavskii Standart: Moldavskii Standart does not control any company in Crimea at present. You possess erroneous information. Nor have we shipped any goods to Crimea. The labels and bottles were exported to the Russian region of Krasnodar and local firms were the final recipients. The scheme that helped Moldavskii Standart, Vintazh and Magliv circumvent the international embargo on Crimea has not worked well. Three years after the peninsula’s annexation the export to Alushta dropped by half to 1.1 million euros compared to the period until March 2014, according to Russian customs records. At the same time, the distillery walked on the path of losses. In 2013 Magliv reported a profit of 140,000 euros but a year later it posted 659,000 euros in losses. In 2015 there’s another 135,000 euro loss. In April 2015 a Russian court filed for bankruptcy on behalf of Magliv and appointed an external administrator. Mr. Luțik claims it’s all about the illegal takeover. Nicolai Luțic: When the events related to the change of jurisdiction kicked off, the factory [Magliv] shut down, because the assets of all Moldovan and Ukrainian companies in the peninsula were seized by raiders. The latter filed for bankruptcy on behalf of our distillery [in Alushta]. 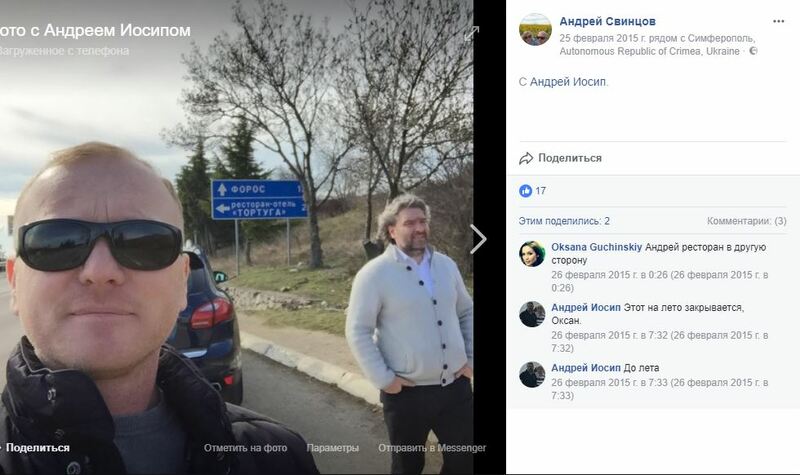 In parallel with its secret business in annexed Crimea, Moldavskii Standart conducted trade operations in Ukraine, freely and unimpeded. Ukrainian customs records show that between October 2014 and July 2017 the company shipped raw alcohol and distilled wine to many producers in the regions Ternopol, Kherson, Odessa, and Kiev. Sales accounted for some 2.2 million euros overall during this period. In 2016 by the way Moldavskii Standart was among the five largest exporters from Moldova that benefited from the US preferential trade regime. Ukraine attempted to take control over the export flows to Crimea half a year after the peninsula’s annexation by Russia. In October 2014 President Pyotr Poroshenko signed a law that granted Crimea the status of free economic area but also prohibited all trade with the occupied peninsula without its consent – such activities were equalized to the terror financing. Details, HERE. In 2015 Ukraine changed its policy towards Crimea and imposed a trade embargo. The Ministry for Occupied Territories and Internal Displacement of Citizens in Kiev was instructed to enforce the blockade and the Ministry of Economic Development and Trade was in charge with identifying and punishing companies that breached the embargo. Until today not a single company from Moldova has been sanctioned under the embargo rules. Alexei Perevezentsev, secretary of state at the Ministry of Economic Development and Trade, Ukraine: The Ministry of Economic Development and Trade has not issued so far any orders regarding business entities registered in the Republic of Moldova on suspicion of export operations in the Autonomous Crimean Republic during the period 2014-2017. Ukraine informed Moldova about its decisions related to the peninsula occupied by the Russians. In Chișinău the Ministry of Foreign Affairs shared those decisions with the Cabinet of Ministers, the Chamber of Commerce and Industry, and the Customs Service. In short, they called for a comprehensive ban on trade agreements and export operations envisaging the Crimean Peninsula. Moldovan customs officials told RISE journalists that the customs authority has issued export permits for many countries, “including Crimea at local level,” adding that in such cases applicants are required to indicate Ukraine as the destination country. Moldavskii Standart isn’t the only Moldovan firm to circumvent the Crimea embargo. Russian customs records show that Berhord SRL, too, was among exporters of goods to Crimea in 2015 and 2016. It shipped mainly industrial outfit such as tanks and various storage containers for food liquid, Italian wine filters, and machinery for bottle sealing. 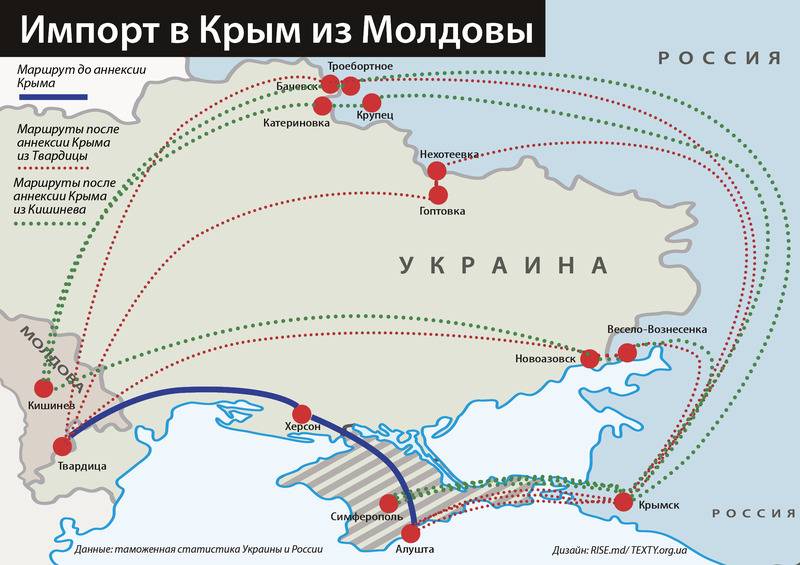 Like in the case with Moldavskii Standart, the operation included the shipping to Russia through Ukraine and then south towards Crimea. 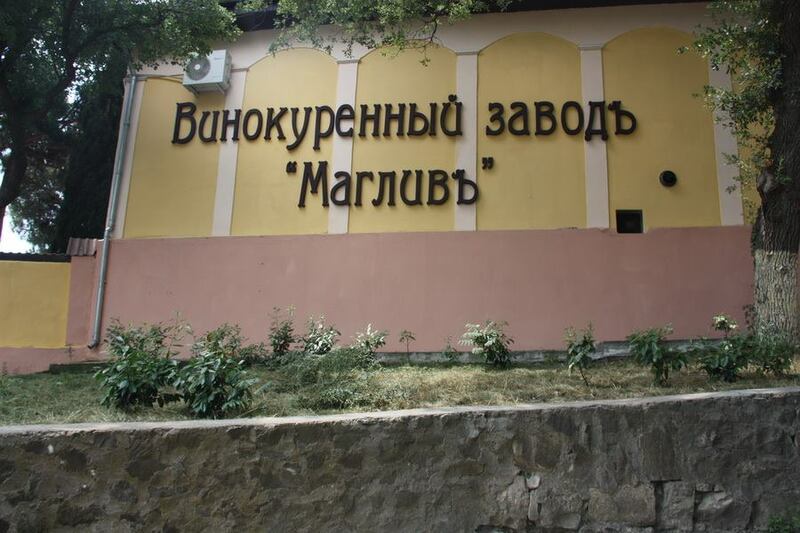 The recipient in Crimea is a company with the same name, Berhord. It was founded in the city of Simferopol in 2007 by Andrei Svintsov, who still runs it today under Russia’s jurisdiction. On the Moldovan side, Berhord SRL, a trading company, was founded in Chișinău in 2002. A ten-percent share in this company is controlled by Ana Avornic, spouse of Gheorghe Avornic, a member of the Moldovan Higher Council of Magistrates and chairman of the Moldovan Bar Association (Uniunea Avocaților din Republica Moldova). In his declaration on propriety and personal interests which he submitted to the National Integrity Authority, Mr. Avornic said that last year his family earned more than 340,000 lei post-taxes from Berhord SRL. In parallel with doing business with the annexed peninsula, Berhord SRL also exported machinery to the rest of Ukraine; in 2014-2016 the company shipped industrial hardware worth at least half a million euros to the neighboring country. Andrei Iosip, director of Berhord SRL, Moldova: We have not violated any laws of Moldova, or Ukraine, or Russia. You’d better clarify who organized the military coup d’etat in Kiev, which triggered this situation. We’ve worked in Crimea since 1999. I don’t know how products reach Crimea at present. We cooperate with Berhord from Krasnodar [Russia]. The military coup d’etat has inflicted huge damages to our company, which is close to file under the bankruptcy law. Leave us alone and don’t bother us anymore.